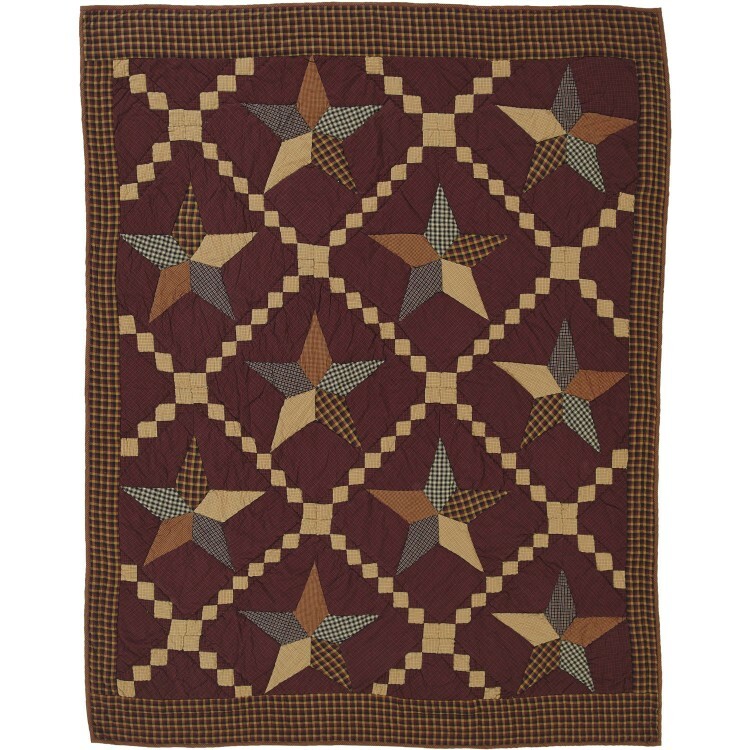 Adorned with magnificent 5-point stars within Irish chains, the Folkways Star Throw is eye catching without being overbearing. 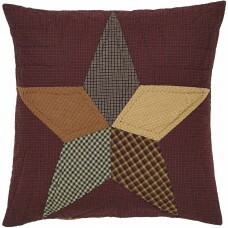 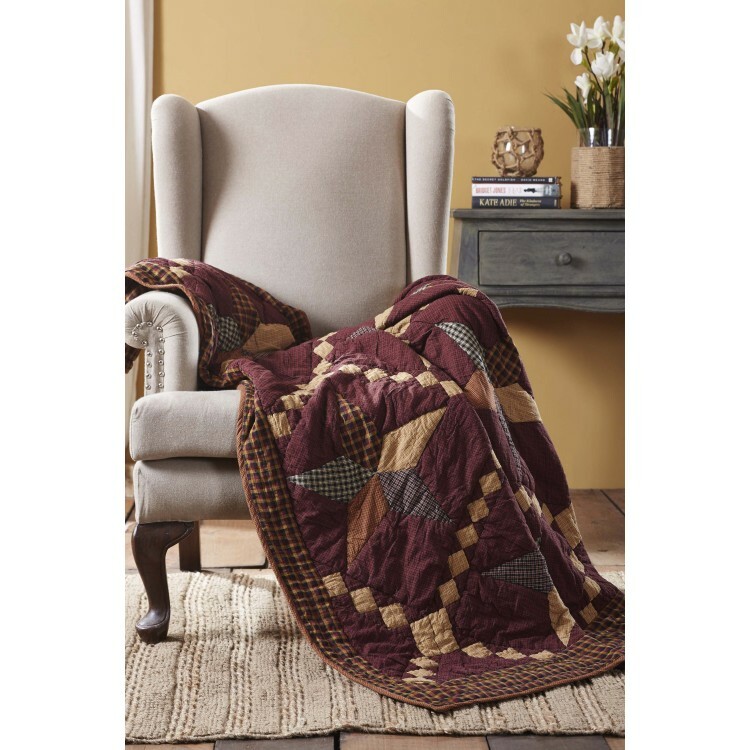 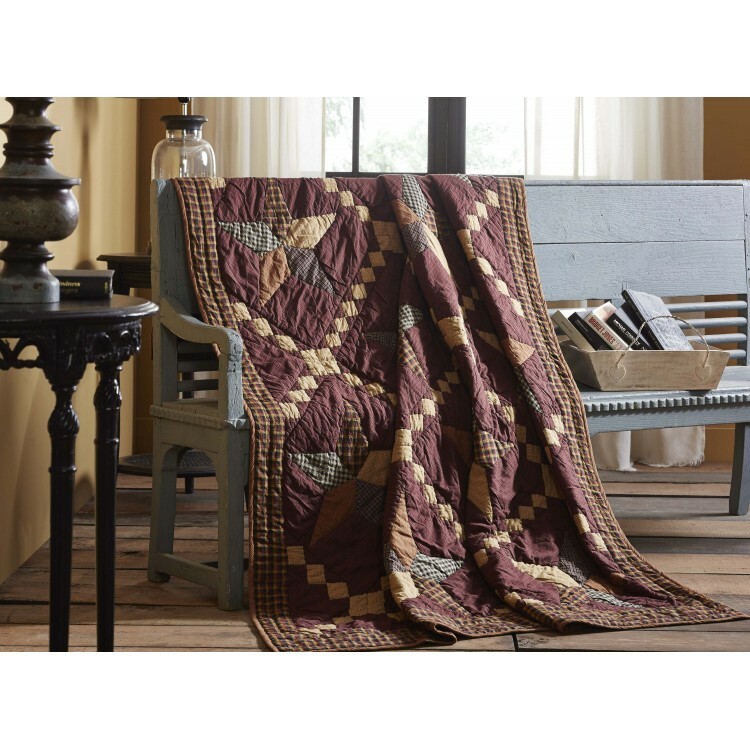 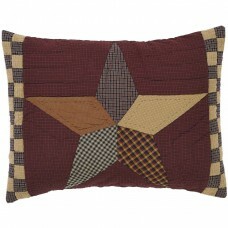 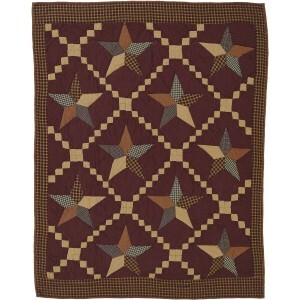 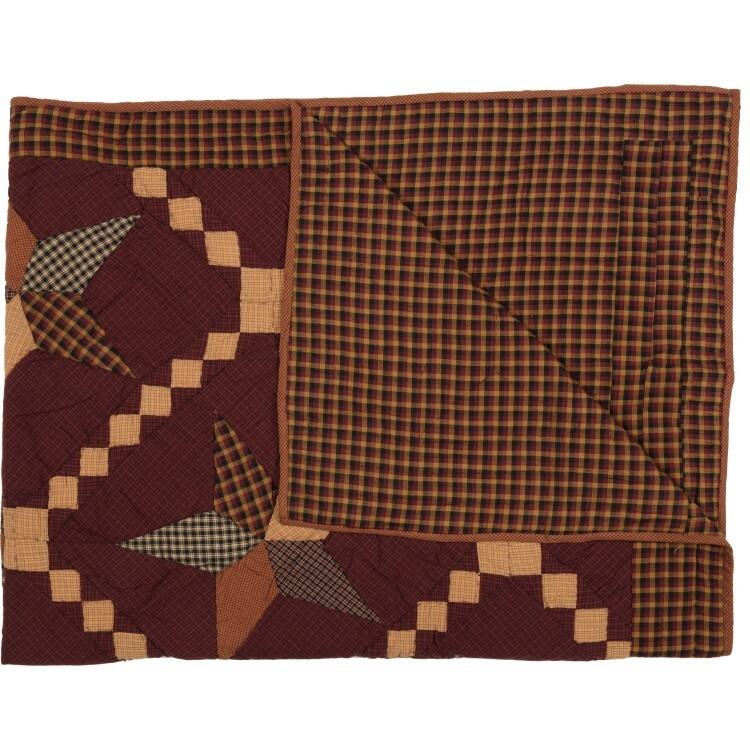 The 5-point stars are composed of five different patterns of plaid to create a primitive patchwork look. 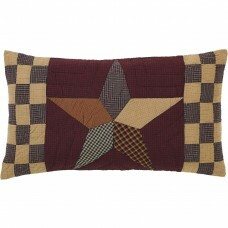 Throw is 100% cotton.